You can export entire projects or individual positions. Right-click a project in the project management and select „Export“ > „Project“ in the context menu. Save the exported file. The position selection opens. 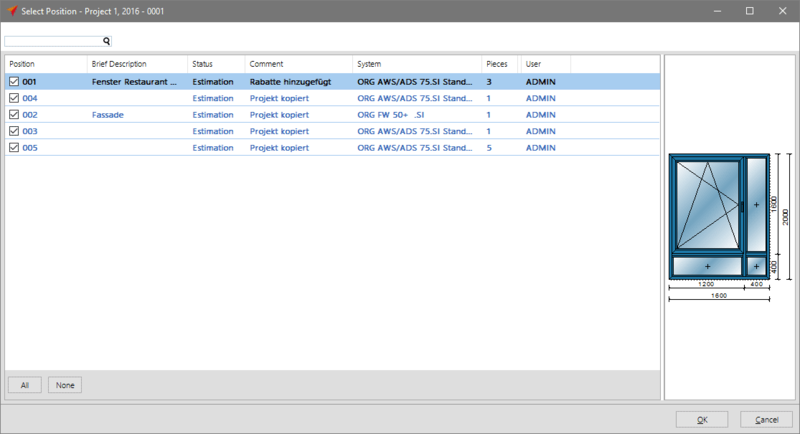 If you wish to export the entire project, mark all positions and click „All“ in the toolbar right down below. If you wish to export individual positions of the project, activate the check mark in front of the respective position number. You can export the complete project list in an Excel file. 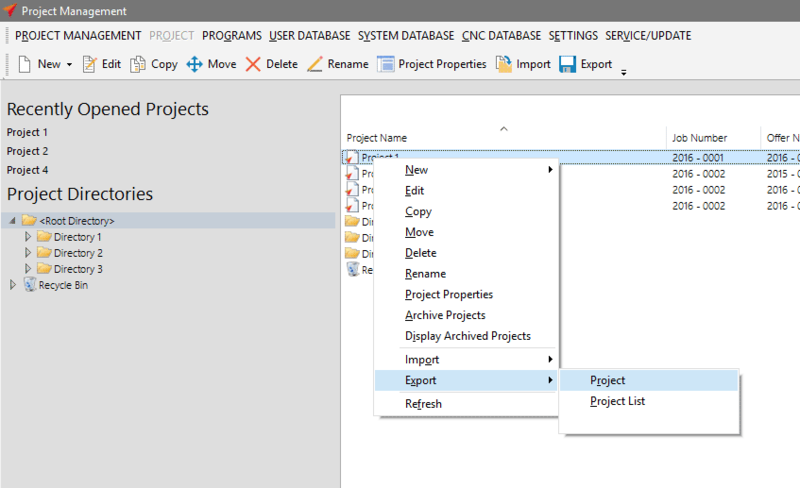 Right-click a project in the project management and select „Export“ > „Project List“ in the context menu. You can import complete projects or individual positions. Click „Import“ in the project centre’s toolbar. Select an import file. Enter a name for the imported project.